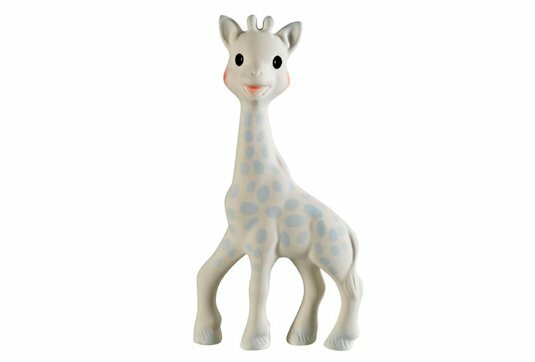 A Sophie la girafe bedtime box to see your baby peacefully off to dreamland. Pink for girls, blue for boys... the toy's soft colours calm your baby. 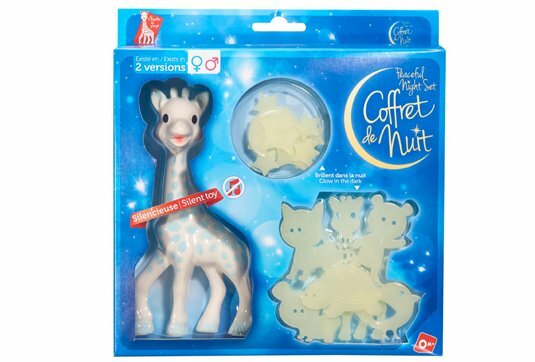 Without a whistle, this toy combines fun and practicality and won't wake the baby (or its parents!) up in the middle of the night! 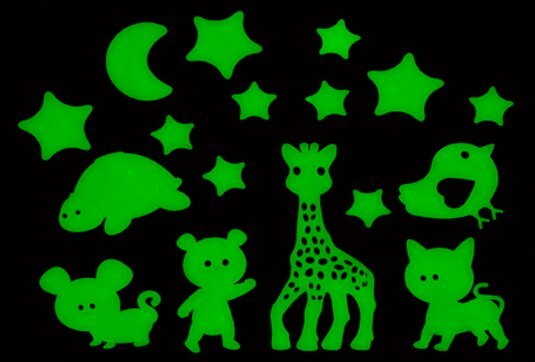 The 17 glow in the dark shapes can be stuck to the nursery walls or ceiling, and will light up restful nights and have a calming influence when bedding down for the night.